The match of Joejoe to his owner was perfect from the start. 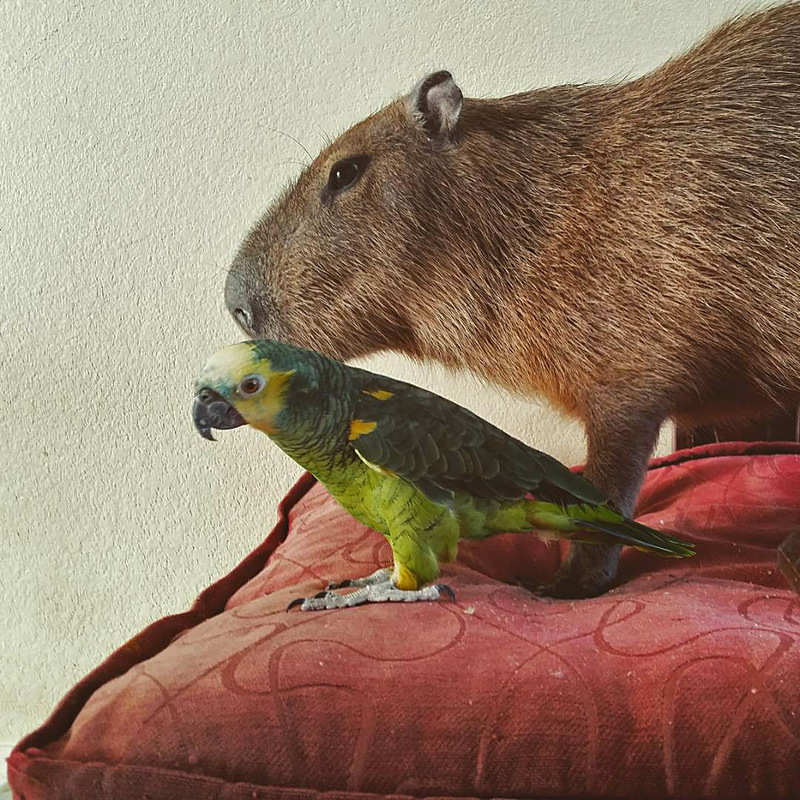 Probably the thing that Joejoe is best known for is his friendships with other animals. 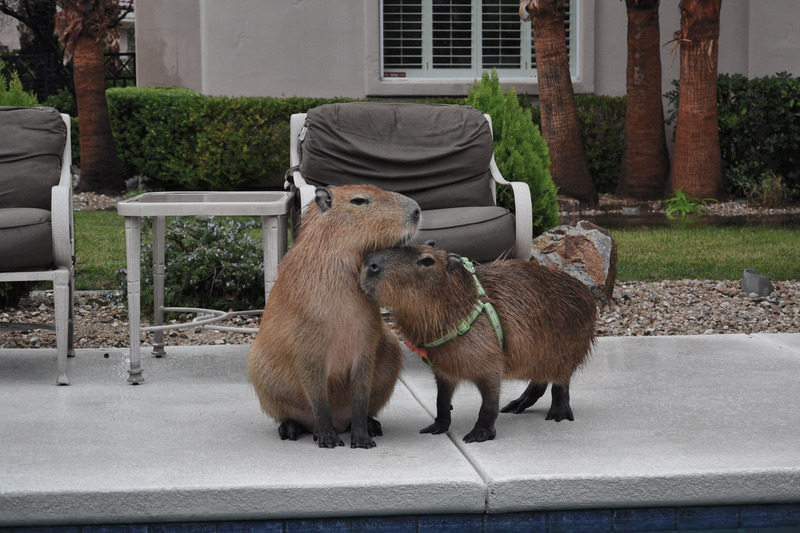 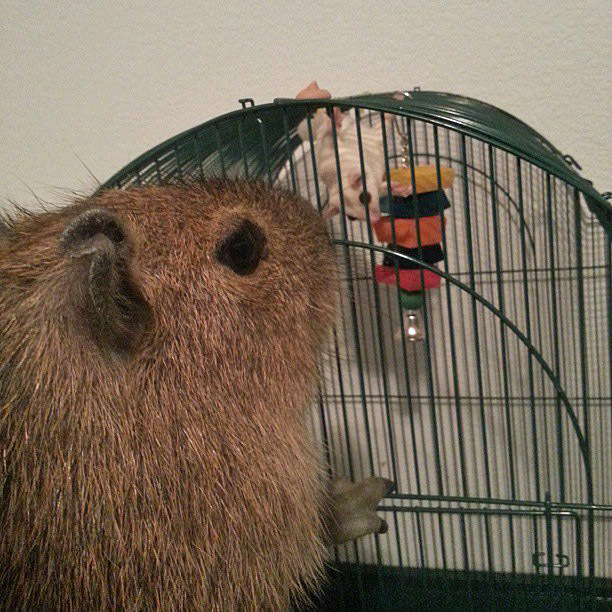 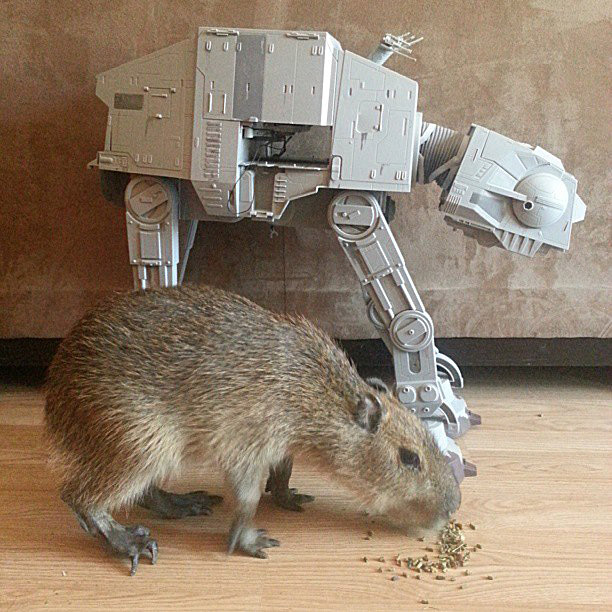 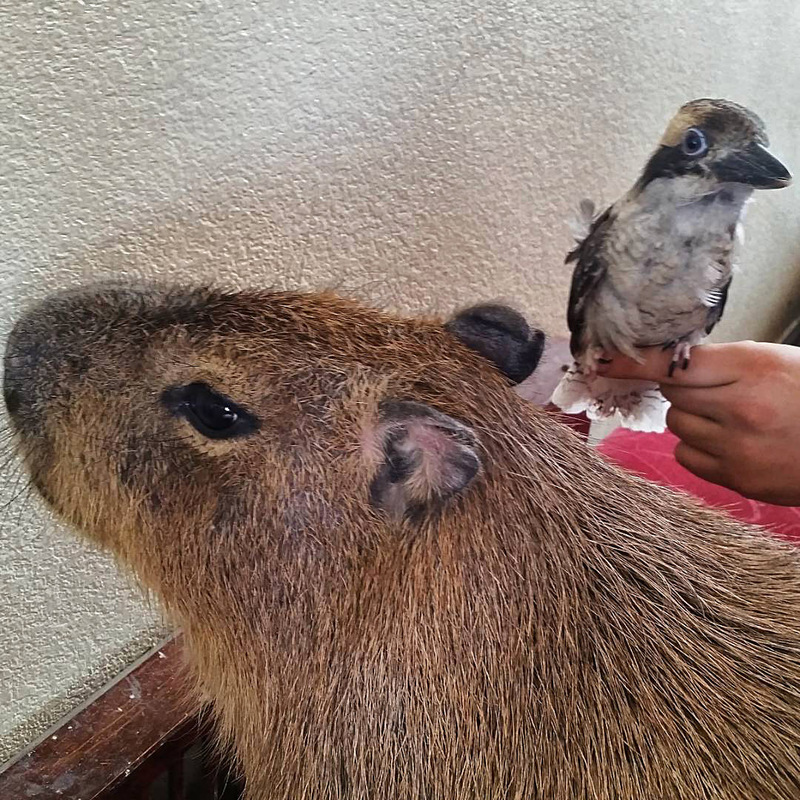 He is probably the inspiration for the “capybaras get along with everyone” meme. And he deserves it. There are so many adorable photos of him schmoozing with other members of the animal kingdom that I can’t possible post all of them, but I’m going to try. 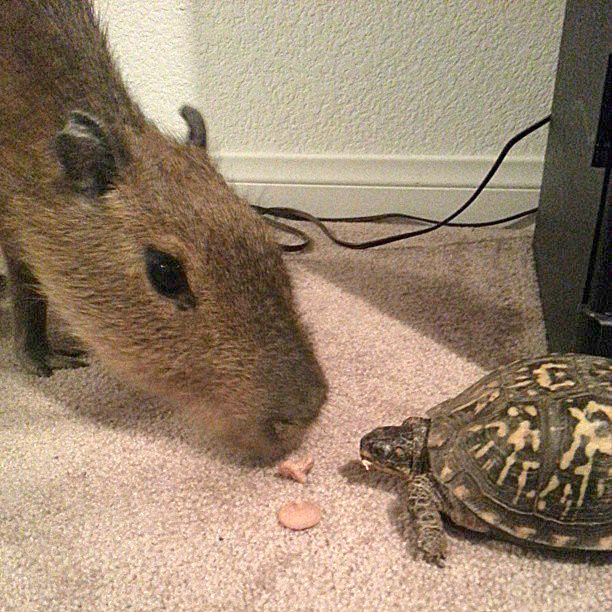 How cute, they are sharing! 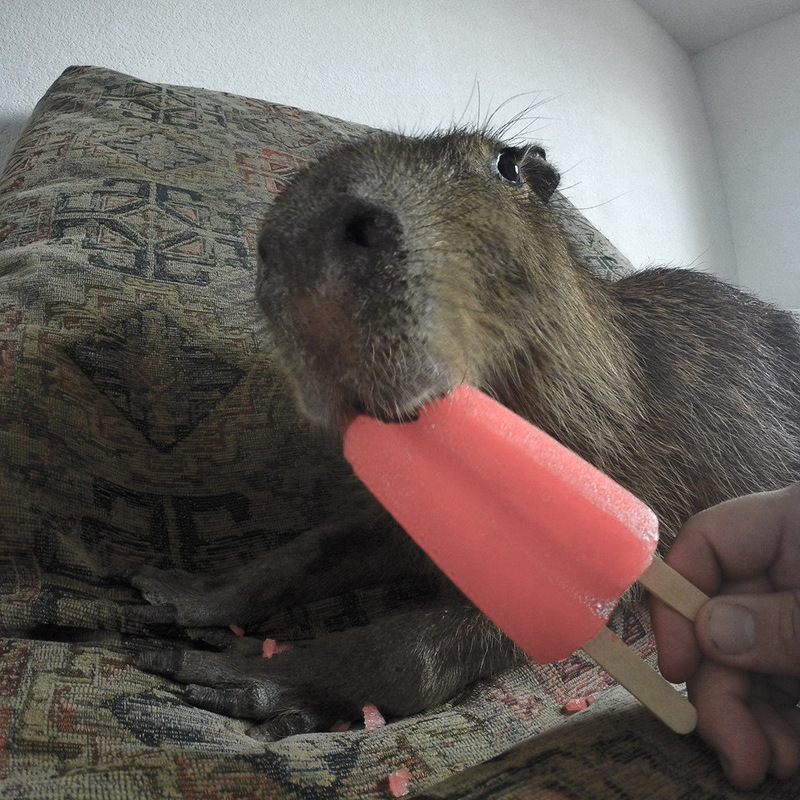 Probably because most capybaras don’t like carrots. 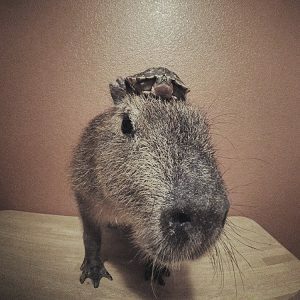 There are so many cute photos. 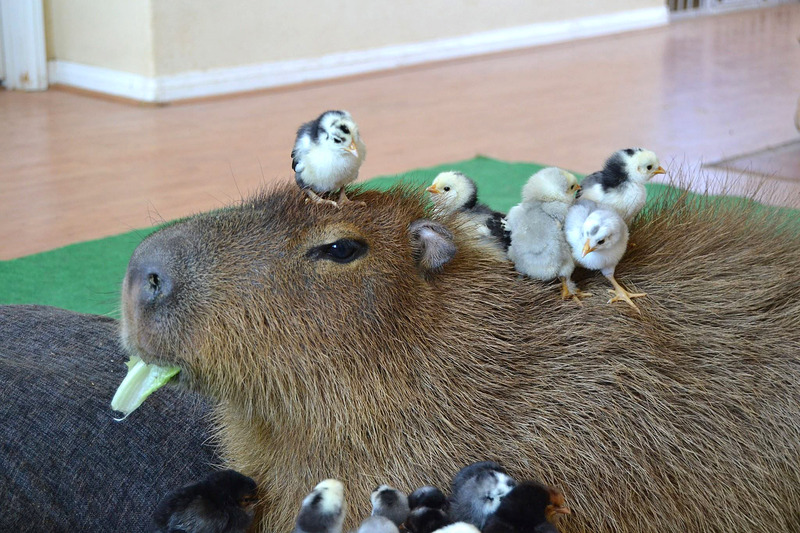 I’m just going to have to throw some random ones in. Isn’t there such a thing as going too far? 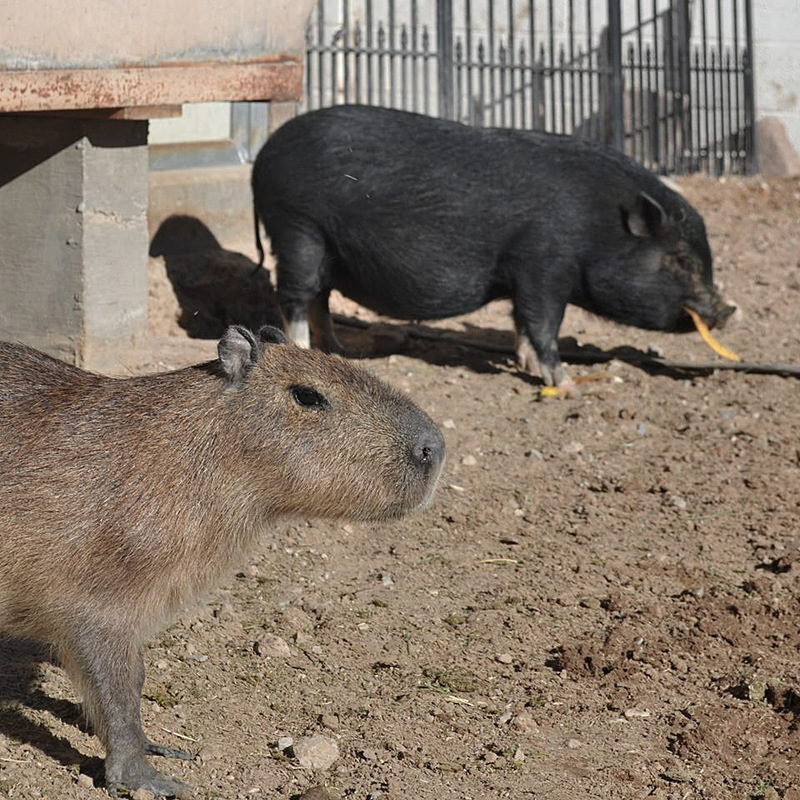 Capybaras do NOT look like pigs. Stop saying that. The water keeps falling on my head. 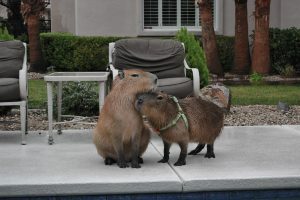 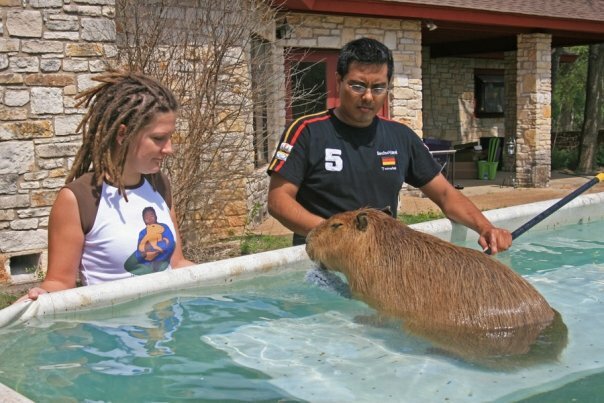 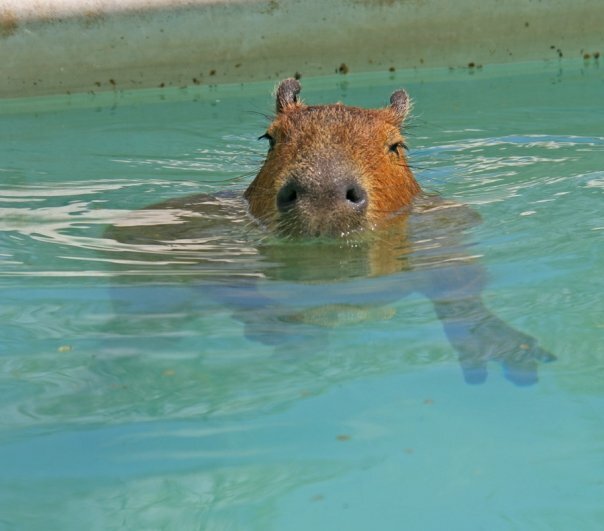 I do not know how people manage to confuse capybaras with kokaburras. 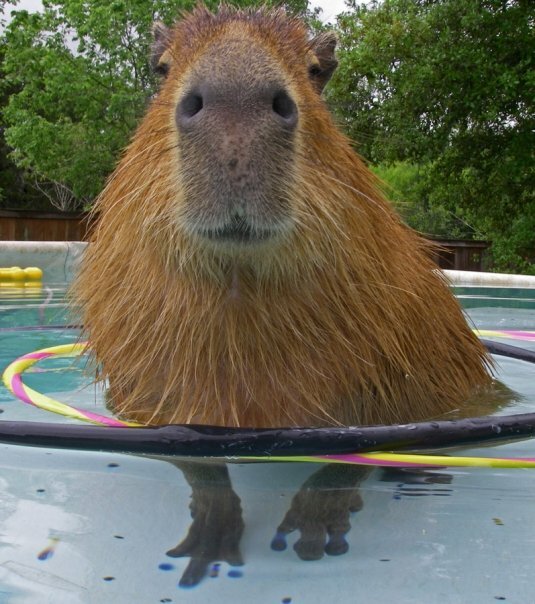 Joejoe clearly demonstrates that they do not look anything alike. 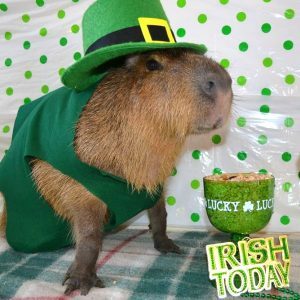 Besides animal friendships, Joejoe is also famous for the cute outfits he wore. Nobody can rock hats like Joejoe. 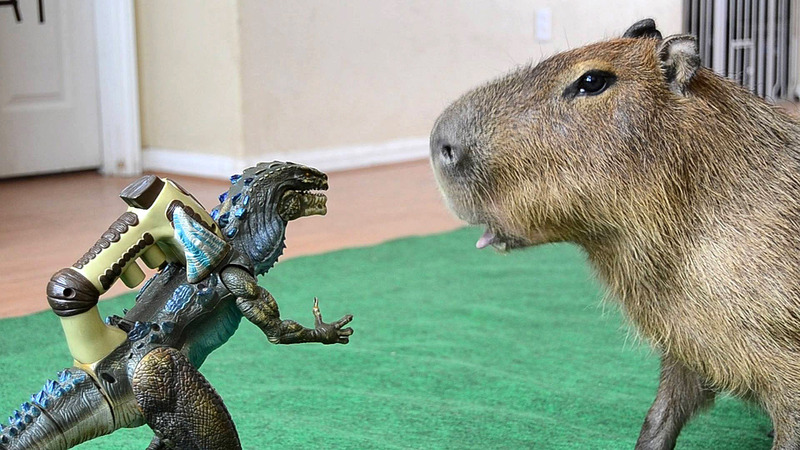 Does Godzilla count as an animal? 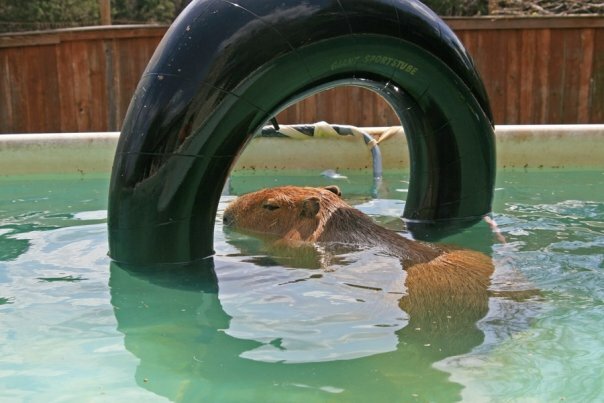 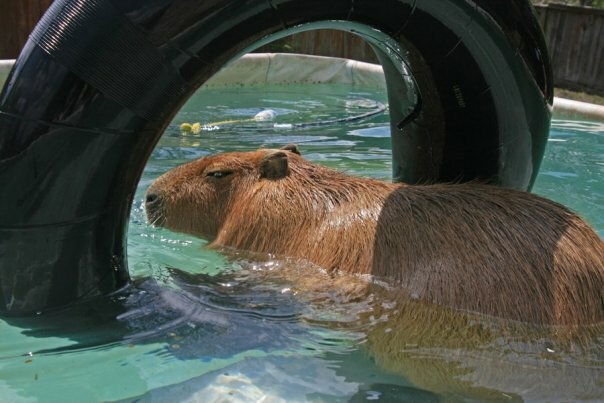 This is certainly not a full summation of Joejoe’s life, but maybe it will give you some appreciation for this amazing capybara. 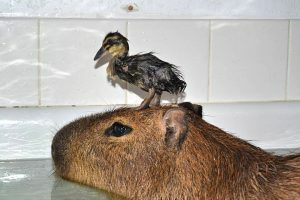 And there is still plenty of information about him on the web. 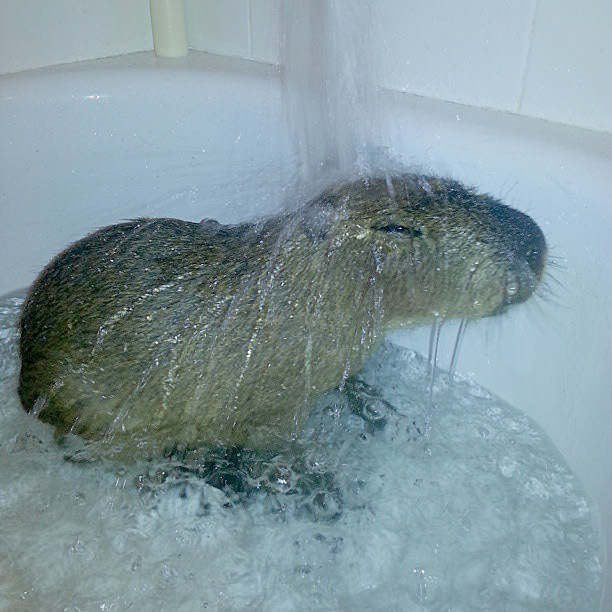 You can find his Facebook page as Joejoe the Capybara. 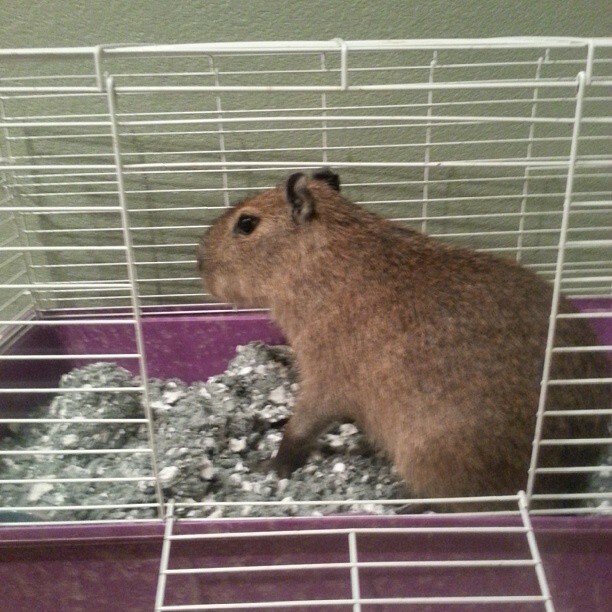 He is on twitter as @joejoe_capy. 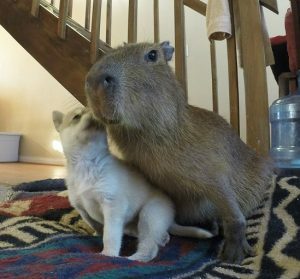 His youtube channel is JoeJoe the Capybara. 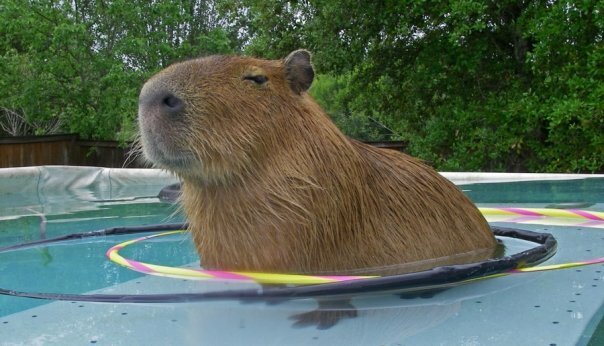 He’s all over the internet. 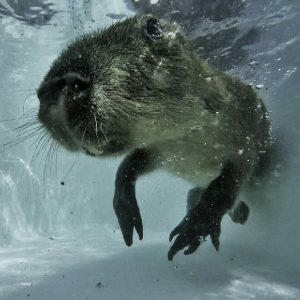 You’ll see him come up randomly on your Facebook or twitter feed. 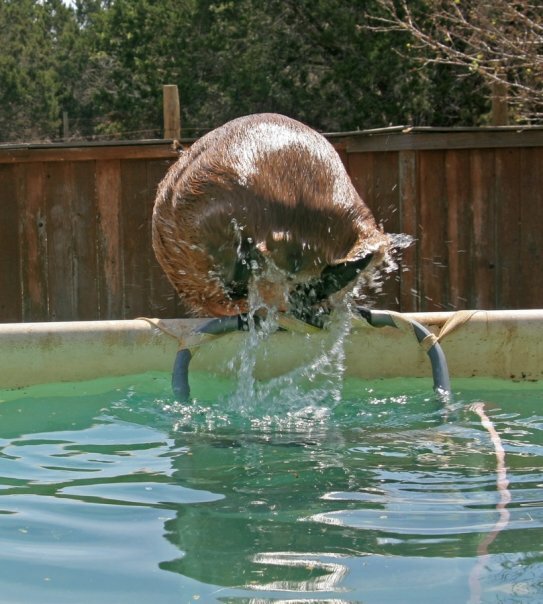 One lat thing. 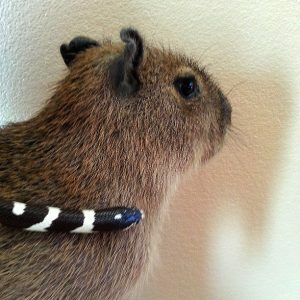 It would be great if you could donate a little to the ROUS Foundation in memory of Joejoe. 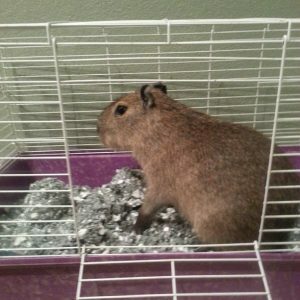 Joejoe used RF services when he was sick as a baby and the Foundation also funded his necropsy. And you can post your condolences to Cody on Joejoe’s Facebook page. 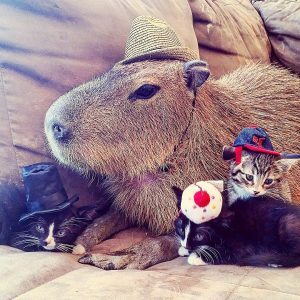 Always knew how to rock the hats, got along with all animals, and most of all he was a very cute and happy capy. 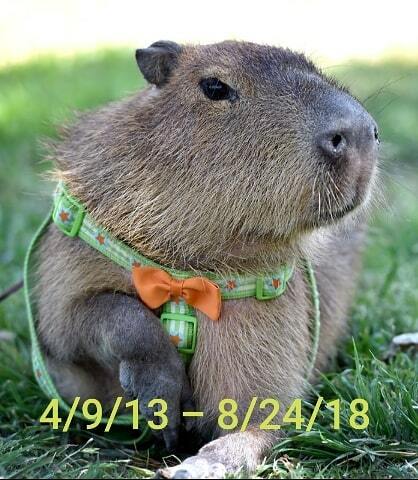 I’m devasted that he had passed on its heartbreaking, but at least we got a happy slideshow of joe joe with his cute outfits and chilling with other animals 🙂 . (I want to donate to the ROUS Foundation but whenever I click on donate it says a message “Error 404 not found”. 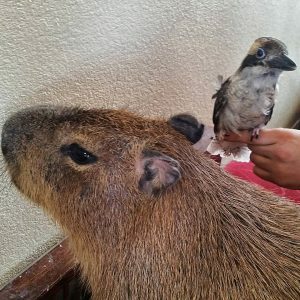 I don’t think the page is working, I really want to donate. Please look into it :), thank you!). 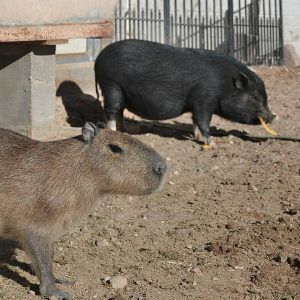 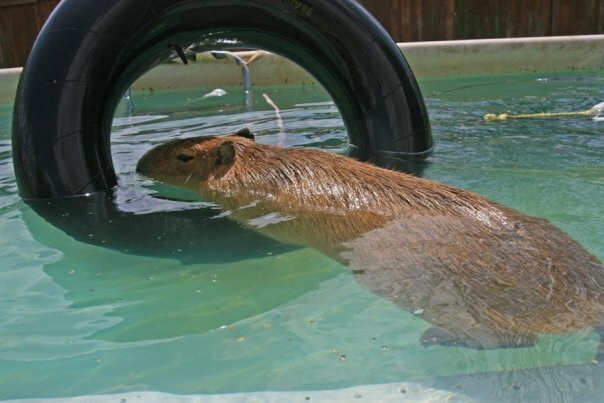 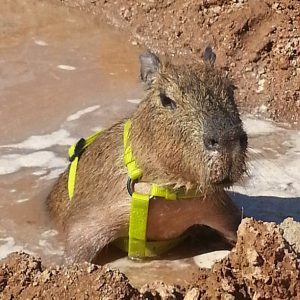 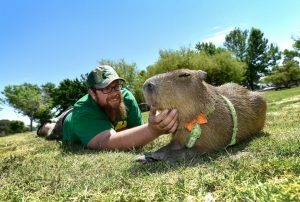 I love Joe Joe, he was one of the first capybaras I’ve followed in youtube, his name was so funny and has many videos interacting with other animales and eating, its a shame he’s gone, I will miss him.